R. Douglas Spedding purchased the Denver Gold from Ron Blanding in April 1984 for a reported $ 10 million. As the Gold was the only USFL club to show a profit in its inaugural 1983 season, Blanding holds the distinction of being one of the only USFL owners to walk away from the league having gained financially. Unfortunately for him, that meant Spedding bought at the height of the bubble. Spedding hailed from Detroit originally but built his fortune selling cars in Denver. At one point he owned 16 dealerships at once spread over seven states along with several car rental businesses. He had some previous sports ownership experience, having owned a minor league hockey team, the Colorado Flames of the Central Hockey League. One estimate placed his personal fortune at $70-$80 million, meaning the Gold required a good portion of his resources. Spedding, unfortunately, wasn't as lucky as Blanding. Shortly after he consummated the deal with Blanding, the USFL's owners chose to move to a fall schedule for 1986. Spedding realized that the Gold simply couldn't compete with the city's beloved Denver Broncos head-to-head in the fall. In fact, the Gold played a lame-duck campaign in the Mile High City in 1985, with attendance plummeting to its lowest level in three seasons of play despite a competitive, exciting team. 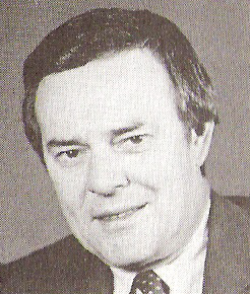 Spedding arranged a merger with Fred Bullard and the Jacksonville Bulls following the 1985 season, but the USFL didn't play another game. Spedding passed away in 2007 at the age of 72, having left an impression on the auto dealership industry.